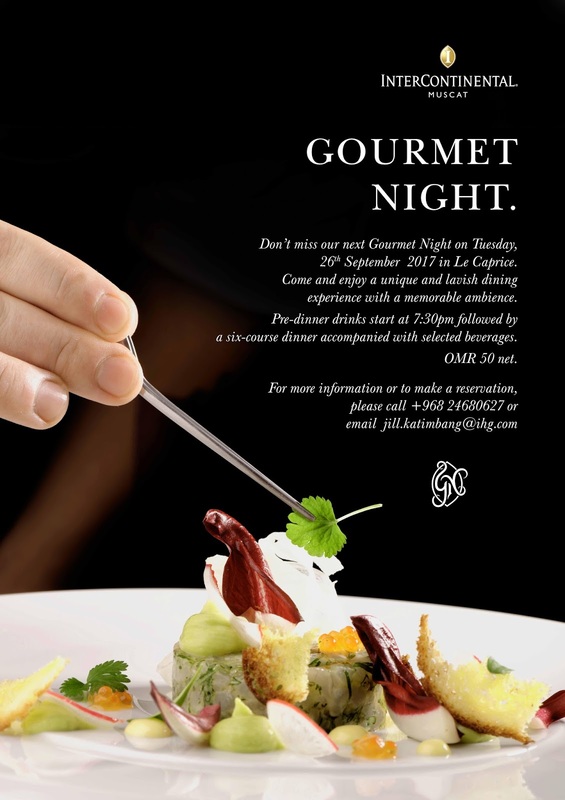 After a summer hiatus, the gourmet nights are returning once again to the InterContinental hotel. The first one is on Tuesday 26th September from 7:30pm at Le Caprice. Tickets are RO 50 a pop, and that includes cocktails, a six course menu and paired drinks throughout the night. It makes for a great date night!